This is for a complete rear sump conversion kit; both parts of the oil pan, etc. Compared to $725 + shipping for a full new kit, this is quite a bargain. Optionally available is the Toyota black FIPG gasket maker, the bolts, and the dipstick/pickup tube. $650 shipped to the lower 48 states!! 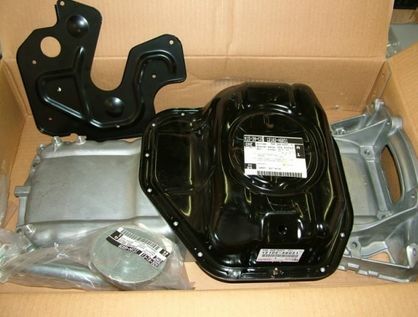 This listing includes all OEM TOYOTA parts.